Sanjaya said, “Then thy sire, excited with wrath, began to strike theParthas and their troops all round, with excellent shafts of greatsharpness. And he pierced Bhima with twelve shafts, and Satyaki withnine. And having pierced Nakula with three shafts, he pierced Sahadevawith seven. 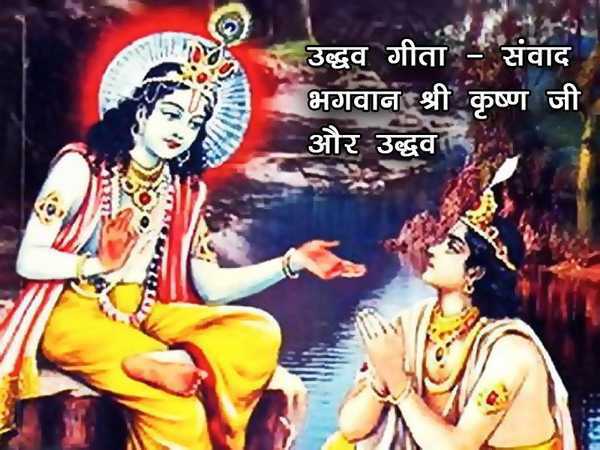 And he pierced Yudhishthira in the arms and the chest withtwelve shafts. And piercing Dhrishtadyumna also, that mighty warrioruttered a loud roar. Him Nakula pierced (in return) with twelve shafts,and Satyaki with three. And Dhrishtadyumna pierced him with seventyshafts, and Bhimasena with seven. And Yudhishthira pierced the grandsirein return with twelve shafts. Drona (on the other hand), having piercedSatyaki, pierced Bhimasena next. And he pierced each of them with fivesharp shafts, each of which resembled the rod of Death. Each of thosetwo, however, pierced Drona, that bull among Brahmanas, in return, withthree straight shafts. The Sauviras, the Kitavas, the Easterners, theWesterners, the Northerners, the Malavas, the Abhishahas, the Surasenas,the Sivis, and the Vasatis, did not avoid Bhishma in battle although theywere incessantly slaughtered by him with sharp shafts. And similarlykings coming from diverse countries and armed with diverse weapons,approached the Pandavas (without seeking to avoid them in battle). Andthe Pandavas, O king, surrounded the grandsire on all sides. Surroundedon all sides, yet unvanquished by that large body of cars, Bhishma blazedup like a fire in the midst of a forest, and consumed his foes. His carwas his fire-chamber; his bow constituted the (flames of that fire);swords, darts, and maces, constituted the fuel; his shafts were thesparks (of that fire); and Bhishma was himself the fire that consumed theforemost of Kshatriyas. Indeed, with shafts furnished with golden wingsand vulturine feathers and endued with great energy, with barbed arrows,and nalikas, and long shafts, he covered the hostile host. And he felledelephants and car-warriors also with his sharp shafts. And he made thatlarge body of cars resemble a forest of palmyras shorn of their leafyheads. And that mighty armed warrior, that foremost of all wielders ofweapons, O king, deprived cars and elephants and steeds of their ridersin that conflict. And hearing the twang of his bow-string and the noiseof his palms, loud as the roar of the thunder, all the troops trembled, OBharata. The shafts of thy sire, O bull of Bharata’s race, told on thefoe. Indeed, shot from Bhishma’s bow they did not strike the coats ofmail only (but pierced them through). And we beheld, O king, many carsdestitute of their brave riders dragged over the field of battle, Omonarch, by the fleet steeds yoked unto them. Fourteen thousandcar-warriors, belonging to the Chedis, the Kasis, and the Karushas, ofgreat celebrity and noble parentage, prepared to lay down their lives,unretreating from the field, and owning excellent standards decked withgold, having met with Bhishma in battle who resembled the Destroyerhimself with wide-open mouth, all went to the other world along withtheir cars, steeds, and elephants. And we beheld there, O king, cars byhundreds and thousands, some with their axles and bottoms broken, andsome, O Bharata, with broken wheels. And the earth was strewn with carsbroken along with their wooden fences, with the prostrate forms ofcar-warriors, with shafts, with beautiful but broken coats of mail, withaxes. O monarch; with maces and short arrows and sharp shafts, withbottoms of cars, with quivers and broken wheels, O sire, with innumerablebows and scimitars and heads decked with ear-rings; with leathern fencesand gloves and overthrown standards, and with bows broken in variousparts. And elephants, O king, destitute of riders, and slain horsemen (ofthe Pandava army), lay dead. The valiant Pandavas notwithstanding alltheir efforts, could not rally those car-warriors, who, afflicted by theshafts of Bhishma, were flying away from the field. Indeed, O king, thatmighty host while being slaughtered by Bhishma endued with energy equalto that of Indra himself, broke so completely that no two persons fledtogether. With its cars, elephants, and steeds overthrown, and with itsstandards laid low in profusion, the army of the sons of Pandu, deprivedof senses, uttered loud exclamations of woe. And at that time, sire slewson, and son slew sire, and friend smote dear friend, impelled by fate.And many combatants of the Pandavas army, throwing aside their armour,were seen flying in all directions with dishevelled hair. Indeed, thePandava troops looked like bulls running wild in fear, and no longerrestrained by the yoke. Indeed, loud were the exclamations, we heard ofwoe that they uttered.